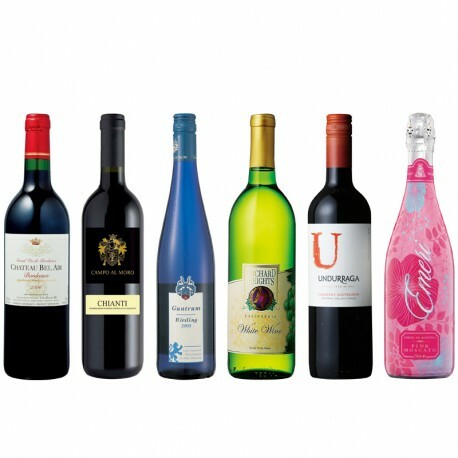 Enjoy drinking and comparing a set of six bottles of wines from around the world. The Red including a Bordeaux from France, Chianti from Italy, and one from Chile. The White wines including a refreshing white made from riesling in Germany, Californian White from the United States, and a rare sparkling Rose wine from Australia.